Service: From 5 July 1937 to ? Funeral location: Belmont, New South Wales. 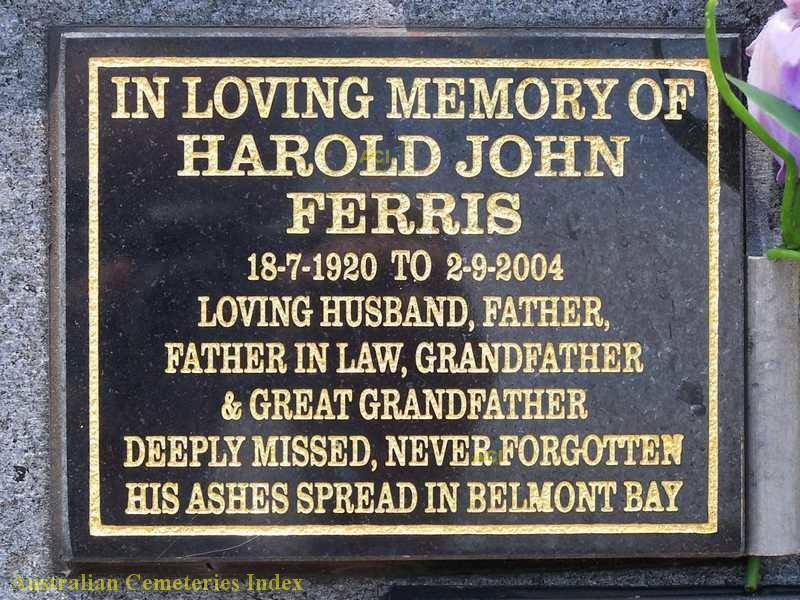 Buried at: Cremated and ashes spread over Belmont Bay, Lake MacQuarie. Harold was the husband of Mabel Isabel “Mabs” FERRIS who died on Friday 22 May 2015, aged 93.